Far Cry 5 is out, and the game is easily the series' most comprehensive title to date. The main story alone clocks in at 25 hours, not including time spent exploring Hope County and completing sidequests. And while there's plenty of Peggies to kill throughout the game, Far Cry 5 isn't easy. From Peggie snipers to bears, flamethrowers to elite airplane pilots, don't expect your stay at Hope County to be a comfortable one. While Far Cry 5 has a skill curve, it isn't impossible to get a good headstart. For Far Cry beginners and veterans alike, here's everything you need to know to tackle Project at Eden's Gate. As soon as you reclaim Far Cry 5's tutorial region on Dutch's Island, the entire county is yours to explore. While Dutch and your other allies will generally give you recommendations for story events to check out, and the game recommends starting with John's territory in the southwest, you can tackle Hope County as slowly or quickly as you want. So take your time and explore. Wander through regions, take on sidequests randomly, and explore the game's world at your own pace. 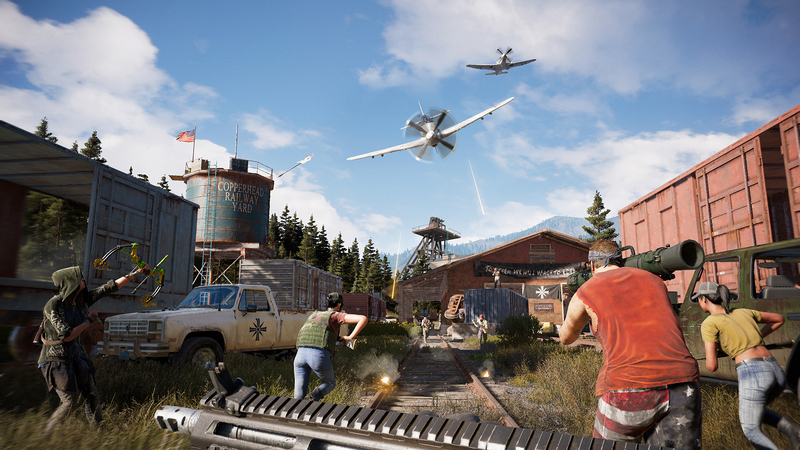 Far Cry 5 does have a linear story, and certain scripted cutscenes will interrupt the game's open-world action, but players are generally left to their own devices as they fight against Peggies. Exploring through the game's world is an excellent way to stumble onto enemy squads, cult outposts, and best of all, secret Prepper's Stashes that will earn you enormous bonuses through additional ammunition, weapons, and money. Far Cry is known for punishing players who run-and-gun their way through each game, and Far Cry 5 is no different. 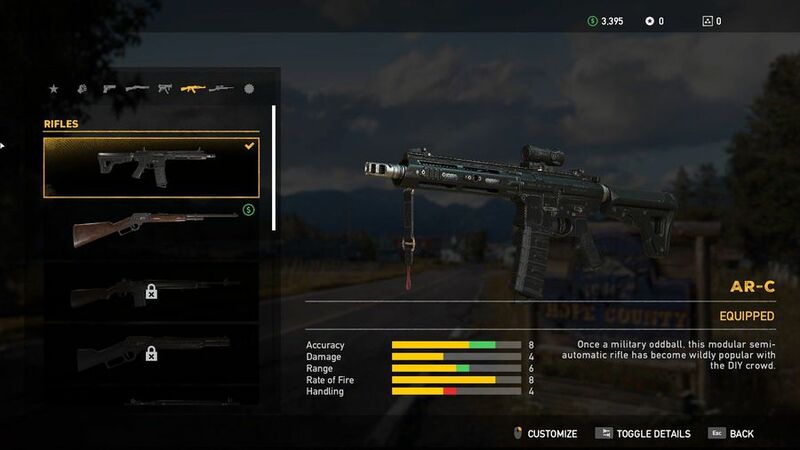 It's easy to burn through ammunition during confrontations against Peggies, and while players can scavenge ammo from bodies mid-fight, spraying bullets without discretion will quickly leave you stranded without any magazines for your gun. Before entering into your next firefight, remember to stock up on ammo as best you can. This includes raiding Prepper Stashes, scavenging reclaimed cult outposts, and looting dead bodies. Even visit a shop and go buy more ammunition. As long as you have the spare dollars to go shopping, it's a great way to make sure you're ready for your next mission. While Far Cry 5 isn't quite as punishing as PlayerUnknown's Battlegrounds or Arma 3, your health is limited. Hit points regenerate relatively slowly, too, and unlike Call of Duty, sustained machine gun fire will easily down a Junior Deputy standing out in the open. Don't expect to Rambo your way through Hope County, in other words. So instead, remember to use cover as often as possible. Crouching can provide additional protection and stealth when sneaking up on enemies, too. Remember to strategize enemy engagements as well. Flamethrowing Peggies are best confronted at medium and long-range, whereas it's better to sneak up on snipers and silently take them out. Remember to pull out your binoculars before engaging cult outposts as well—zooming in on Peggie units will put red chevrons over their heads, giving you the opportunity to track enemy movement from afar. As you continue taking down cult outposts, you'll start unlocking friendly shops for buying guns, cars, armor, helicopters, and other goodies. 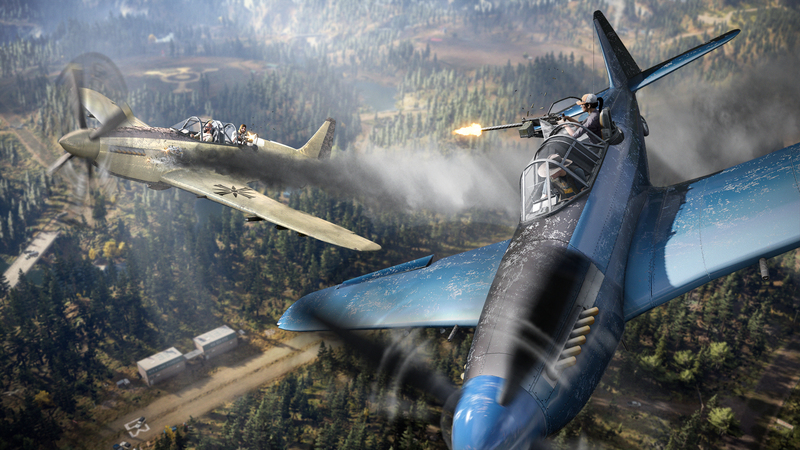 Shopping is essential in Far Cry 5 if you want to get an advantage over Joseph Seed's Peggies, and stocking up before a mission can be the difference between life and death. Make sure to check out shops across reclaimed outposts. Alongside buying new weapons, restocking ammunition, or grabbing new vehicles, shops will also let you cycle out your current guns for a better option in your arsenal. For instance, if you only have an AR-CL and already bought a Flamethrower earlier in the game, simply head on over to your nearest gun dealer and cycle out your rifle for the Flamethrower. From there, you're all set to burn Peggies to a crisp. Last but not least, don't be afraid to bring along a Gun for Hire. Dragging along an NPC to firefights can give you a strategic advantage, especially when it comes to the game's Specialists. 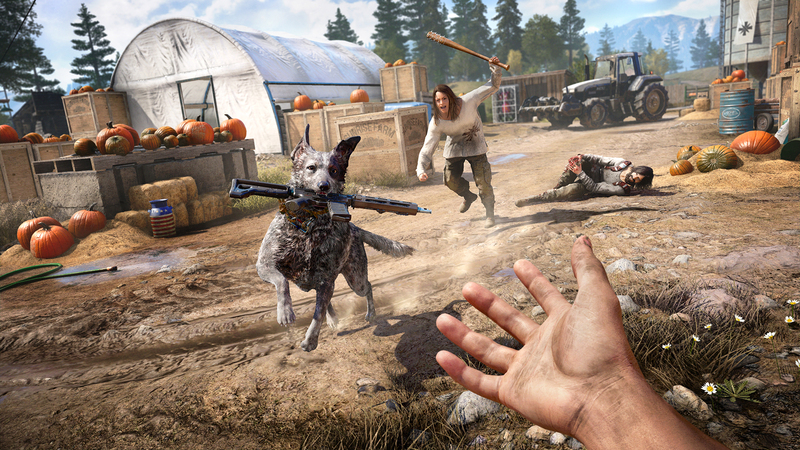 Boomer the dog, for example, can pounce onto Peggies and keep them incapacitated, giving players an opening to take down other enemy units. Grace Armstrong, on the other hand, is a long-distance sharpshooter who can help pick off one soldier after another. There's two ways to grab a Gun for Hire. Players can either hire randomly generated characters, or they can bring on a Specialist. The former can be found throughout the game randomly at camps or rescued from Peggies, but Specialists are only unlocked by exploring each of the game's regions and completing a character-specific quest. So when in doubt, go exploring. You're sure to stumble across a Gun For Hire.